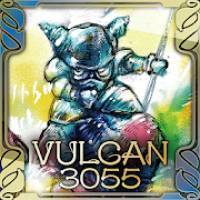 VULCAN 3055 is a Action android game made by kulasta that you can install on your android devices an enjoy ! A new-sensational “axle of fate” system that results in a change in the game with each play! 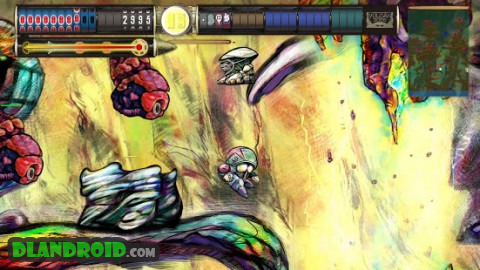 2D action that unfolds in a menacing Sci-Fi world! – “Axle of fate” system that results in a change in the game with each play! – Nurture your account with surprise events, simple puzzles, and many skill items. – Collect more than 100 types of unique collector’s items. – Get story cards and unearth the story of Planet Vulcan. 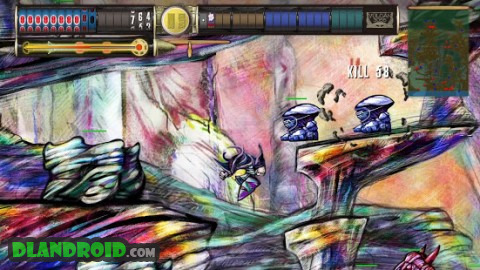 – An action game with simple basic controls for immediate immersion in the game. – Upon achieving the requirements, the “axle of fate” will rotate and decide on your next experience in the game. – The game will unfold in a chain of more than more than 20 events, such as unique enemies, sub-characters, climate, geographical changes. – If you run out of lives, it will be game over and you will lose your items and skills, but the item called “scylla plate” will not disappear, so it is possible to nurture your favorite character. – When the attack charge is full, your attack will penetrate the enemy. Try to defeat as many enemies as possible at one go. – Destroy gold colored enemies and bases that appear occasionally. They will drop many items. – Damage cut, charge strengthening, and knock back strengthening items will continue to be effective until you reach game over. – Collect the “scylla plate” for unlocked characters to level up forever! – If you collect items called “excavated toys,” you will be able to gain various bonuses.